Will farmers' voices be heard in the Brexit negotiations? Leaving the EU is going to be an uncertain and unpredictable process. But does the UK have the resources and expertise to make the best of it? And will farming’s voice be heard? A vote to leave the EU would be the start, not the end, of a process, a Cabinet Office document noted in February. “It would begin a period of uncertainty, of unknown length, and an unpredictable outcome,” the document outlining the process if the UK left the EU warned. That is now the reality facing the country, and the farming industry, with a single question hanging in the air nobody has quite got the answer to – what next? The very first thing, with the main architects of Brexit now gone - David Cameron as the man who called the Referendum and the two leading Brexit campaigners, Boris Johnson and Nigel Farage - is that we need a new Prime Minister to pilot the country through the Brexit process. She, Theresa May or Andrea Leadsom, will be in place in September, but , while only then will negotiations move into full swing, groundwork is already being done in Whitehall and Brussels. But within the farming industry, doubts are already surfacing about whether the UK has the resources and expertise to deliver the best possible deal on the likes of trade, regulation, labour access and, of course, the formulation of a brand new farm support policy from scratch. So will farming’s voice be heard? Brexit Briefing: What would replace the CAP if the UK voted to leave? NFU vice-president Guy Smith pointed out that for years, Defra’s primary role has been to implement policy made in Brussels. Now it will have to implement it from scratch. During last Friday’s extraordinary NFU council meeting Farmers repeatedly questioned whether Defra was capable of doing this. Mr Smith said: “For 40 years now, the main driver for agricultural policy has been Brussels. It is now going back to Whitehall and Whitehall needs to be ready for that. One industry figure, who asked not to be named, was less diplomatic, claiming there was ‘not the capability at the moment to do any of this work’ Defra now faced in developing new policies from scratch. He said he understood Defra had put in a request for hundreds of additional staff but questioned whether the people with the ‘necessary experience and the skills’ could be found. 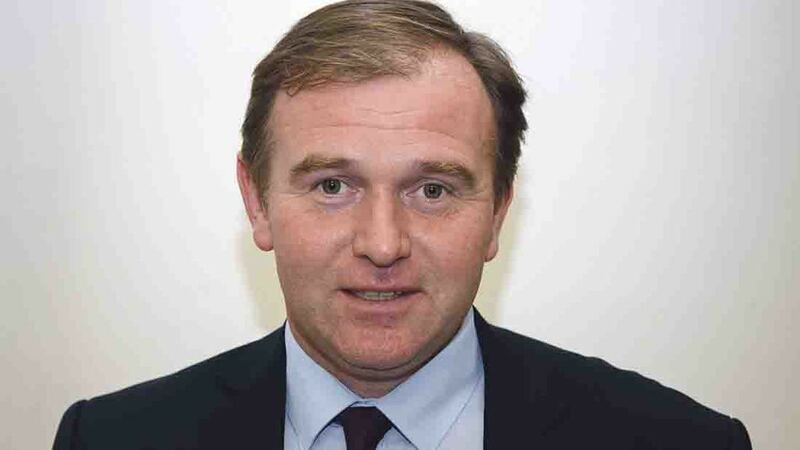 This question of whether Defra was ready, especially in the face of recent staff cuts, was put to Farming Minister George Eustice at this week’s Livestock Event, in Birmingham. 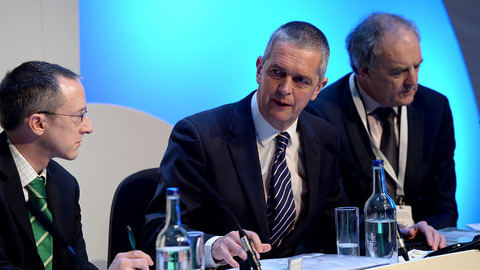 He said: "We have got some incredibly talented officials and policy experts in Defra. We have had to shed some staff with some of the changes to the budget as Government departments across the board have had to deal with. "But one of the consequences of coming out of the EU is that the huge volume of work and the reporting and the strategies we have to prepare for the EU would start to disappear. "So leaving the EU frees up a huge amount of capacity in Defra. Officials who are now fretting about meeting this Directive or that Directive will be free to look at what comes next." However, not everyone in the room was convinced. It was subsequently pointed out that, until will leave the EU Defra officials will still have to carry out all EU-related work, including compliance with regulation, while also developing a UK strategy. Mr Eustice has stressed Defra will work with the industry to develop a new agricultural policy and that there is plenty of time to do so. 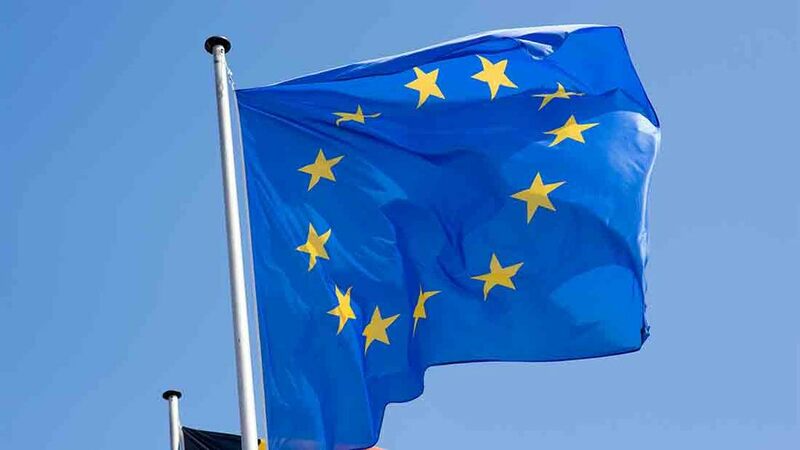 The Government has set up a new EU Unit in the Cabinet Office to draw on ‘the very best talent from across the Civil Service’ to examine options for future relationships with the EU and the rest of the world. This will bring together officials and policy expertise from across the Cabinet Office, Treasury, Foreign Office and Business Department. It will look at all the key aspects of the Brexit process, including the timing of triggering the exit process through Article 50, trade arrangements with the EU and elsewhere, the thorny free movement of people issue and farm policy outside the EU. Already it has started off on the back foot, however, with Foreign Affairs Committee chairman Crispin Blunt suggesting it was an ’act of gross negligence’ that the Government made no contingency plans for Brexit prior to this point. Cabinet Office minister Oliver Letwin, in charge of setting up the EU unit said the Government could not have made contingency plans when its policy was to Remain and that it could not have ’pre-designed’ a strategy for another Government. When will we leave the EU? Until we leave the EU it is business as usual for trade, the Common Agricultural Policy and regulation. The key question is when the Government will trigger Article 50, which formally gives two years to negotiate the terms of exit. Conservative leadership front-runner Theresa May has said they would not trigger Article 50 until 2017, meaning 2019 would be the earliest possible departure date. But there are so many other variables, including a possible General Election and the legalities about the role of Parliament in the decision, there is little certainty around the timing. Even then, the two-year Article 50 notice period could be extended if all other member states agree. Once we do leave the EU it could then take another '10-15 years' to redraft the various EU regulations affecting farmers, Farming Minister George Eustice has warned. Nonetheless the criticism echoes that levelled at Defra Secretary Liz Truss for her infamous ’no Plan B’ comments in January, a position that now looks increasingly unwise. 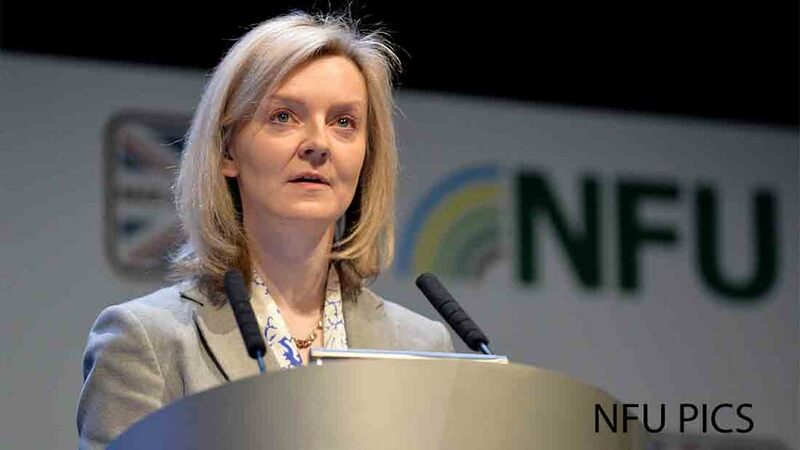 While Defra is not formally part of the EU unit, Mrs Truss said Defra would be working with it to ‘look at a future package for farmers and the environment’. She said: "There clearly needs to be a system of agricultural support and British farming must remain profitable and competitive. Equally, Defra will continue to ensure the right policies are in place for a cleaner, healthier environment. The Government will work with industry and the public to develop these new arrangements. Mrs Truss is also reported to be part of a group of Ministers set up to gauge the views of business to feed into the unit. The other side of the equation is how the UK sets about negotiating the best deal for the country, and farmers, in the EU. While the new Prime Minister and, on occasion, his Ministers, will play leading roles, the United Kingdom Permanent Representation to the European Union (UKRep) will represent the UK in these negotiations. UKRep is made up of staff from more than 20 UK Government departments, including Defra. Whereas previously its role was to negotiate EU policy from a UK perspective with the EU institutions now it has to negotiate our exit. NFU president Meurig Raymond questioned whether the trade expertise existed across Government to complete a successful negotiation. One UK source in Brussels pointed out the UK has not negotiated a trade deal since it became a member of the EU and said it would need to get some ‘special trade negotiators’ in place, possibly through the re-establishment of the Department for Trade and Industry. The source said it was also important Defra, including Mrs Truss they said had only attended on Council of Ministers meeting, would need to do much more to get its voice heard in Brussels. Previously Defra had been a ’reluctant’ participant in Brussels matters, tending to leave negotiations to UKREP but would now need to change its approach, the source said. The devolved nations also want their voice to be heard. 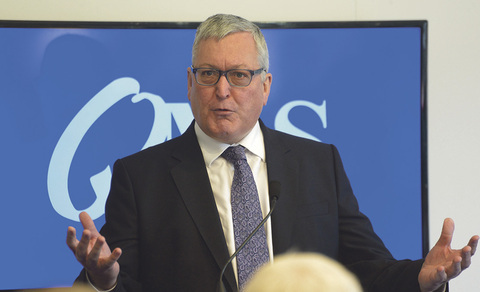 Scottish Rural Economy Secretary Fergus Ewing said: “At the EU Council last week I met with a number of EU representatives and emphasised that Scotland is open for business and working to protect our role in the EU. “The First Minister has also made it clear to the Prime Minister that the Scottish Government must be fully and directly involved in all decisions that the UK Government intends to take. All of this only serves to highlight the central role the UK farming and rural organisations will now have to play in helping to formulate policy and giving a coherent voice to the industry. The UK farming unions, organisations likes the Country Land and Business Association and the Tenant Farmers Association, which published a draft policy during the campaign, and the various sector representative bodies are all now in the process of developing their own policies. Last week, the NFU, for example, announced it would be launching what it has described as the ’biggest farming consultation in England and Wales for a generation’ to gauge industry views on what a British agricultural policy should look like. NFU president Meurig Raymond promised leadership stressed the ‘huge role’ the NFU now had to play in providing the necessary ‘intellectual horsepower’ for Government as it works on new farm policies. NFU Cymru launched its own consultation on Tuesday, calling on the governments in Cardiff and Westminster to recognise the economic importance of the farming sector. While Defra Ministers have repeatedly stressed their desire to work with the industry on this, the challenges facing the farming organisations. Farming is a hugely diverse sector, with many different priorities for many different types of farmers. Finding the balance in the form of a policy that is acceptable across the industry while also being realistic in terms of what is achievable is the challenge now facing these organisations. At the same time they have to make the case for the industry in the face of numerous competing interests as the Governments sets about the long and uncertain process of leaving the EU. Former Defra advisor Lord Curry summed up the situation facing the industry. He said: "It is going to require some serious vision about our position in the global market. "It is a clean sheet of paper and we can also start to look at all the alternatives for how farmers should be supported. "We need to ensure the policy design and outcomes are something the industry buys into. "Unless industry has ownership of the solution it really won’t work. To have a government impose a solution will just be unacceptable."